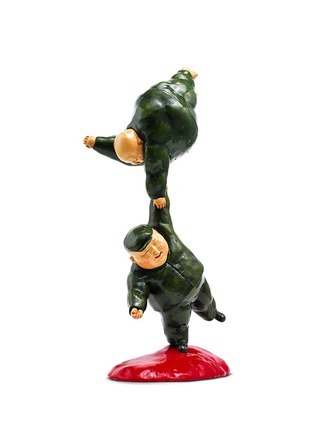 This whimsical statue by Qu Guangci of renowned Chinese artist duo X+Q has an unlikely inspiration ― it is based on a well-known episode in the novel series, Harry Potter, in which the young wizard accidentally inflates his fat aunt with his magical powers. 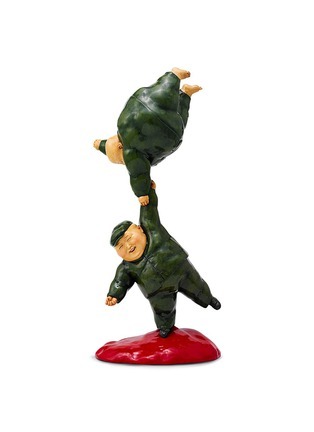 A contemporary Chinese take on the humorous story, the chubby man struggles to keep his equally stout companion grounded. 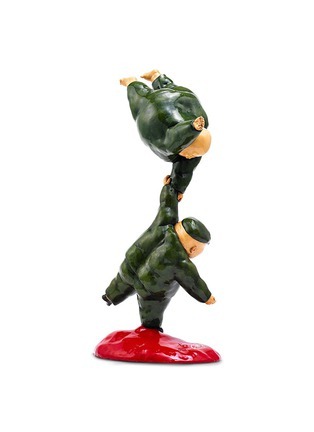 Juxtaposing massive weight with extreme lightness, a dire situation with boyish smiles, this hand-painted piece will imbue your living space with a fanciful albeit oxymoronic aesthetic.